There is something very magical about the award winning Kokomo Private Island. The magic is literally everywhere and you can’t help but notice it the moment you step off the resort’s seaplane or helicopter. The vision was to create a unique island paradise that surpasses all others in Fiji, while keeping with the natural beauty and landscape. Mission accomplished. Superior design. Untouched beauty. Relaxed luxury. This is where the world’s fourth largest reef sets the scene for an unrivalled experience with captivating marine life and coral. This is a place where spectacular white sand beaches are yours for the taking, where privacy is paramount, and service is top notch. All the luxury suites are designed for privacy, comfort and relaxation. All with private infinity pool and garden. You can choose from 21 Beachfront Villas or opt for one of the five Luxury Residences, all featuring sustainable design and traditional fijian nuances whilst boasting striking views of the island and surrounds. A paradise for explorers in search of unique experiences, a retreat for families, and a haven for honeymooners. Get a jet hire quote below as there is no better way to arrive at Fiji to experience the magic of Kokomo Private Island than by a private jet to Nadi International Airport or Nausori International Airport (also known as also Suva or Luvuluvu International Airports). Guests are swiftly transferred from private jet to Kokomo in comfort and style on the island’s private Twin Otter seaplane or helicopter. Ensure cameras are at the ready for the stunning 45-minute transfer from Nadi International Airport or 25-minute transfer from Nausori (Suva) Airport. To ensure transfers to Kokomo Private Island can be arranged for the same day of arrival at Fiji private jets should arrive at Nadi or Nausori international airports by 3pm. 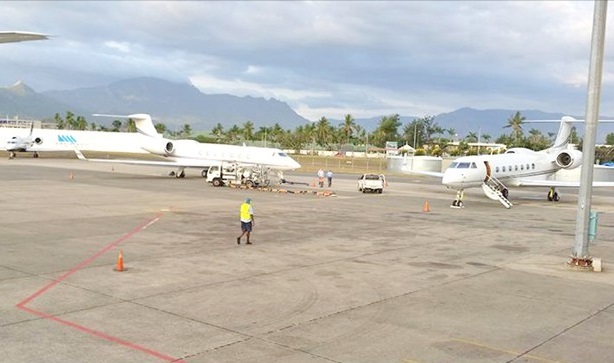 Departing private jet flights from Fiji should be scheduled for after 10am. Your SuperFLY concierge will meticulously ensure schedules are arranged for a seamless luxury travel experience. Thank you for your quote request, you’ll receive a text via SMS text (or WhatsApp if you have it) shortly. Call our travel concierge on +44 (0)208 244 4992 (24hrs) to charter a private jet to Kokomo Private Island and to explore accommodation options. SuperFLY can organise jet charter to Fiji with transfers to Kokomo from any location globally. Contact us for a private jet quote and let your dedicated private jet concierge create your perfect trip. Whatever this magic is that Kokomo possesses, it’s impossible to replicate—and almost as impossible to leave. So if you’re late, your jet will wait…. Located on the north east of Kadavu Island Group, Kokomo offers exclusivity to dive sites that are not frequented by other island resorts, offering unparalleled opportunity to explore the Great Astrolabe Reef with marine life from tiny Anthers to magnificent Mantas, Tuna, Sharks, schooling jacks, Turtles, Nudibranchs, Blue Ribbon Eels, Mackerels and more. At Kokomo Private Island the luxury suites are designed for privacy, comfort and relaxation. All with private infinity pool and garden with a choice of 21 Beachfront Villas and five Luxury Residences, all boasting striking views of the island and surrounds.